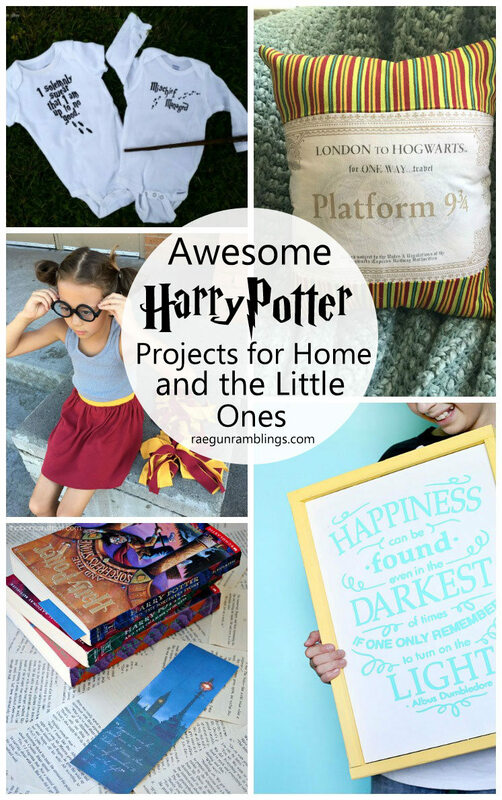 Looking for more awesome DIY Harry Potter projects? Well you’ve come to the right place. 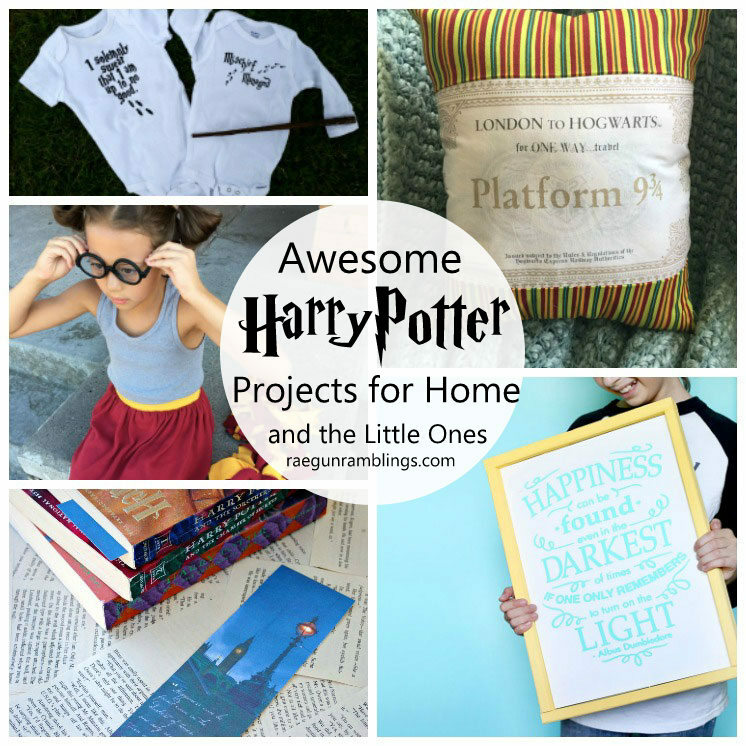 Check out these fun ideas for home and the kiddos that were shared during Day 4 of Happy Harry Potter! 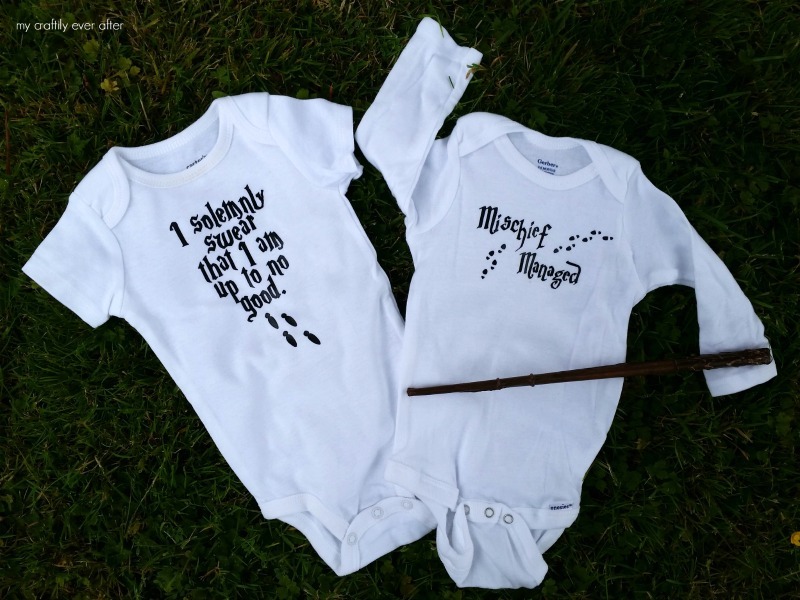 My Craftily Ever After made these darling DIY Marauder’s Map onesies! 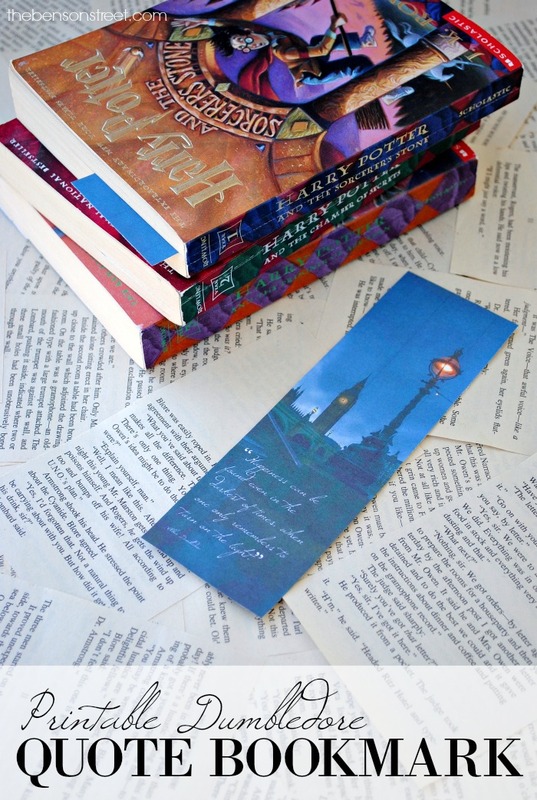 Emily from The Benson Street made another darling Harry Potter printable this time she did this great Dumbledore Quote Bookmark. 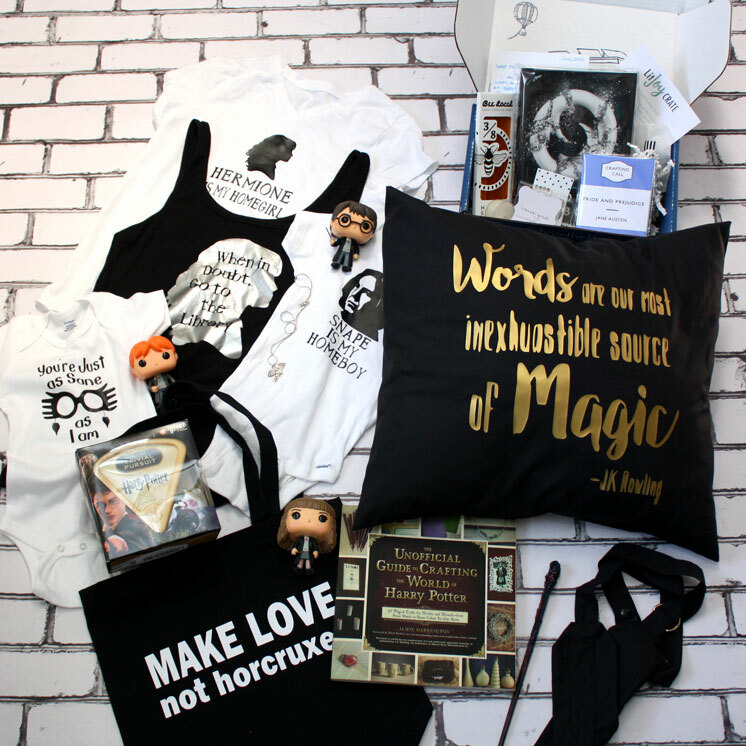 Oh my oh my Mandy from Sugar Bee Crafts has done it again! 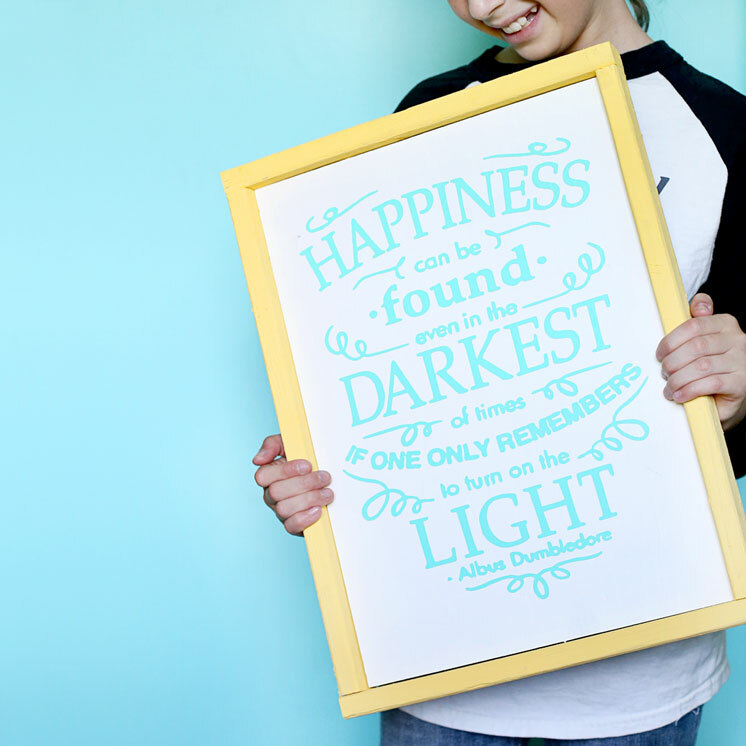 I NEED this Harry Potter Quote sign. Isn’t it the greatest!? 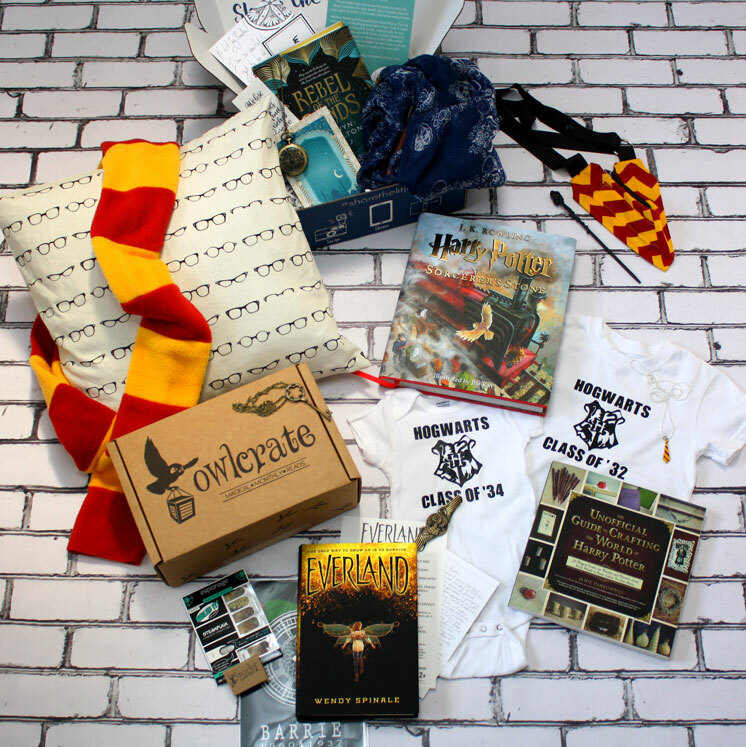 And I totally mixed up my posts for Day 3 and 4 features oops. 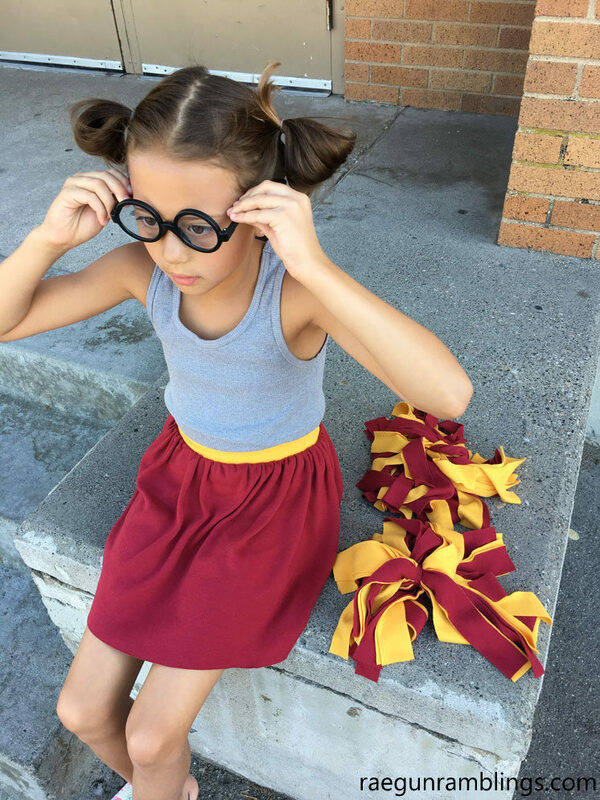 But I didn’t share my Gryffindor Cheerleader Skirt tutorial in one of the round ups yet so here it is! 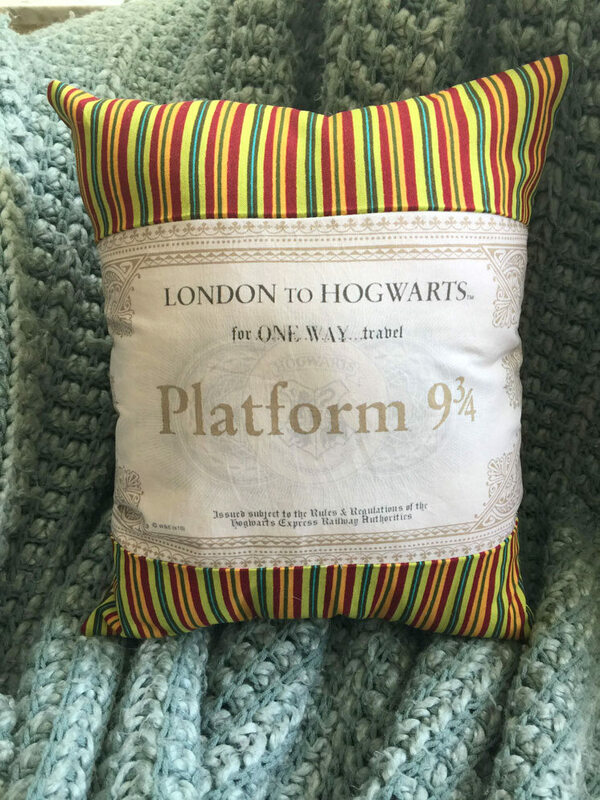 I might have to have my house completely filled with Harry Potter pillows because this Hogwarts Express Ticket Pillow is just magnificent. Didn’t Niki from 365 Days of Crafts do such a fabulous job! ?